Your very own retro Conan the Barbarian action figure! Highly detailed figure measures 8-inches tall. Kull is an exact reproduction of the original released by Mego! Your very own retro Conan the Barbarian action figure! 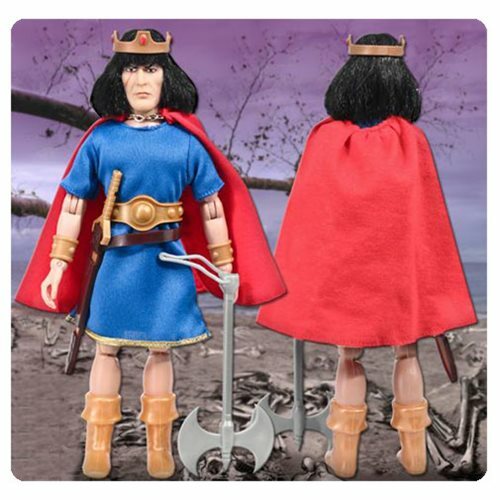 This Conan the Barbarian 8-Inch Kull the Conqueror Series 1 Action Figure, based on the comic book series by Robert E. Howard, is an exact reproduction of the original that was released by Mego! Articulated action figure measures 8-inches tall.